Creativity. It's not rocket surgery. But it does take some skill. Ellis Graphics provides graphic design in Austin, Texas and has been developing clearly communicated brand experiences for over 30 years. Let us create great and effective advertising and marketing materials for for you. We help tell good stories. We’re like an ad agency. Light. Half the added calories. All the ad services. 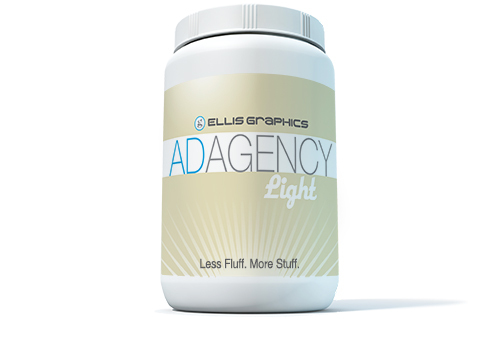 Offering a streamlined service without the layers in other Austin ad agencies. Our clients have direct access to the creative team. For over 30 years, Ellis Graphics has helped clients in Austin develop effective advertising and strong graphic communications. We’re friendly and dependable too. Call us with your emergency: 512-371-1997. We can help. And we love hard work. Graphic design services that build brands. Why do clients keep calling Ellis when they need help in Austin with graphic design and marketing communications? They get hop-to-it response that supports marketing objectives and builds brand awareness. Integrated graphic design, illustration, and photography—print, web, video, and multi-media—all work together to create a collective brand resonance. We’re an Austin design firm with clients nationwide. And we create work that drives results. We want to build a design relationship with you. 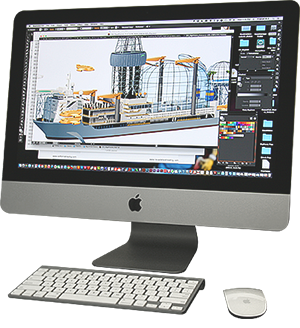 Recently, Ellis Graphics has been hired by several Austin businesses for product packaging, logo design, collateral design, and website design in the medical services, web services and oil field equipment industries. Our wide skill set allows us to serve a diverse range of clients—many of them for many years. And we never stop seeking new solutions. Call us today at 512-371-1997.